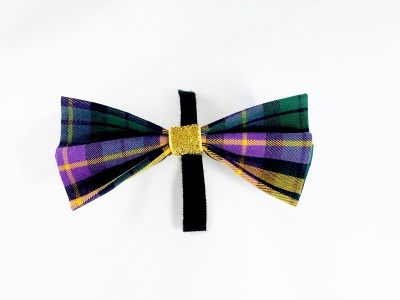 Snazzy Purple Gold & Green Plaid Bow Tie. Put a little prep in his step! 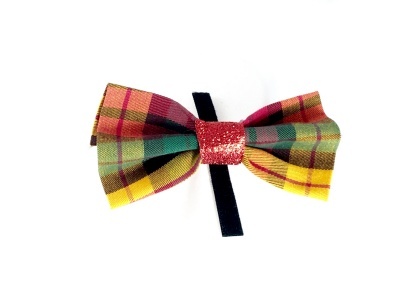 Dress up your pup for weddings, special occasions or everyday sophistication with this handsome bow tie. Attaches to collar. 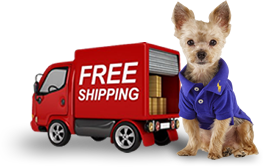 The Gold Metallic center really pops on your dog’s neck! Made in USA. Measures approximately 4.5 inches wide.